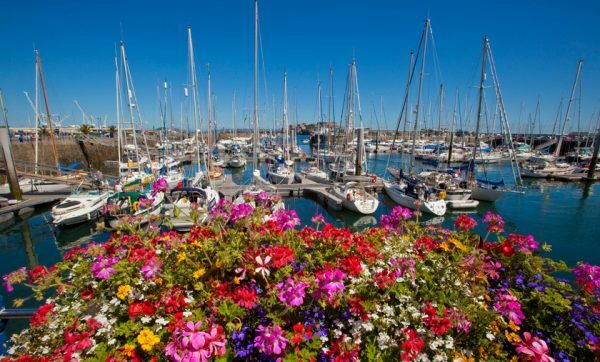 I wasn’t sure I could connect with a storyline that’s so, well, disconnected…but Juliet is so clever, the Guernsey inhabitants are so enchanting, and the small acts of heroism are incredibly vivid and moving. I have a “one day wish” to stay at the Les Buttes Holiday Cottages. 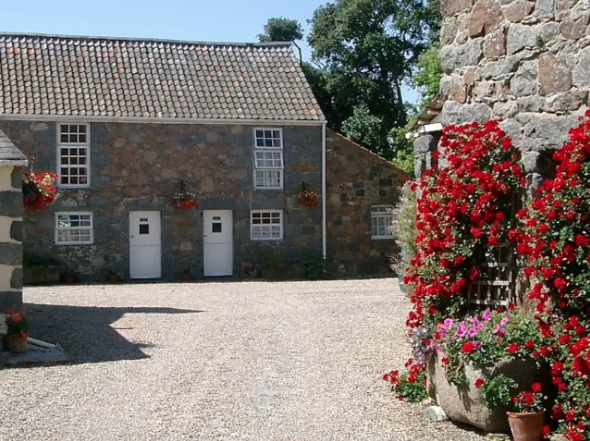 The AirBnB listing says there are five cottages on the property and that the, “Les Buttes Holiday Cottages are part of a tastefully converted 16th century Guernsey farm set in the country parish of St Pierre du Bois. 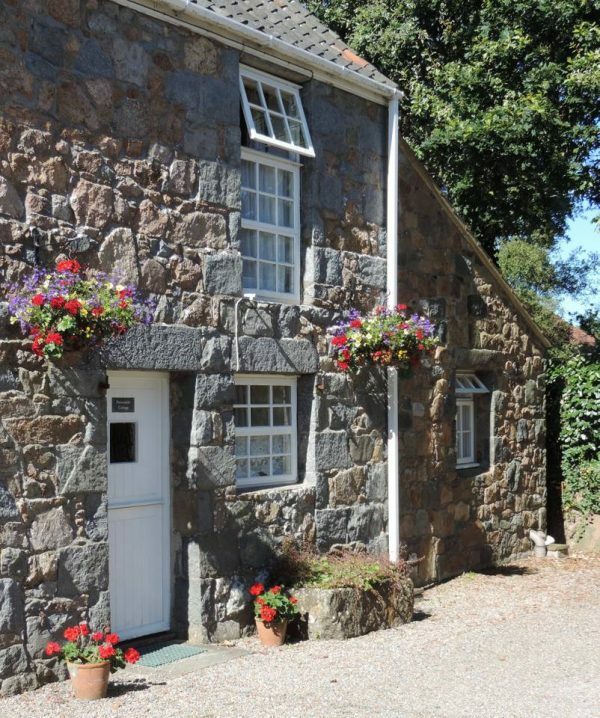 Situated next to the village green, we are only 300 yards from the local village with its shop, post office, pub and restaurant and only five minutes to the sands of Rocquaine Bay, with its own ancient castle now a Maritime Museum. Renowned yet reasonably priced restaurants are within reasonable walking distance. The south coast cliffs offer wonderful views and walks and can be reached through beautiful leafy lanes. There is also a regular bus service allowing easy access to all parts of the island”. And a lot of my fave Downton Abbey Actors are in this movie: double win! I will def check that book out Layla!! This is one of my favorites too. Thanks for the reminder about tonight, I am looking forward to watching it. 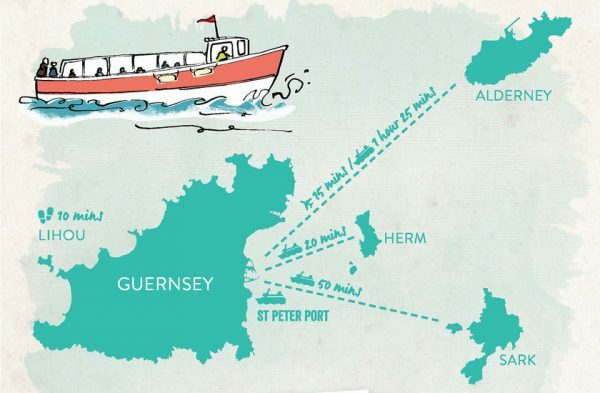 Let me know when you’re going to visit Guernsey Island and I will book my trip too, lol. I have this book and sooo excited to watcb the movie!!! Can’t wait!!!! 🍿🙌🏼! What?????? You just made my day with this news. A little bummed that it looks like they changed up the story line, but I’ll watch it anyway. Finally got a chance to read that book last month. Loved it. One of my favorite books! Can’t wait to watch tonight. So good! I have never heard of this book, so looks like I need to check it out! I am always looking for a new book to read/author to discover. I noticed that several of my Downton Abbey favorite characters appear to be in the Netflix film, so that is a big draw for me too! AND I second the motion about reading the Jan Karon Mitford series — one of my favorites for many years! Thanks for calling our attention to this! I’ve been waiting to see the film too!!! You just made my day! I read this book earlier this year and loved it ! I would love to go! Ever consider arranging a group travel? I put it on my list to watch. Thank you for the recommendation! Thanks so much for letting us know about this movie. So much to explore on Netflix…so little time. I’m really anxious to watch this…like TONIGHT! We read the book years ago in my book club and it was so charming and interesting. I love stories about war and how it affects those left behind. Oh my word! This is one of my favorite books of all time. Thanks for the reminder about the movie!! Did you know Annie Barrows (the co-author) recently wrote another book, The Truth According to Us? It’s another great read! I just finished it! Loved it so much! What a great story and beautifully filmed movie! I loved the book too! Can’t wait to see this movie either! This was the first book our newly formed book club read the first month. Didn’t think I would like it when I discovered it was just a series of letters but halfway through, I noticed I was not distracted by it at all! About shower and put on my comfiest pj’s and curl up on the sofa and think of you while i watch this delightful looking movie. I love ALL things British and period dramas are one of my favorite things on earth. Thank you for the recommendation. Blessings to you sweet Layla. 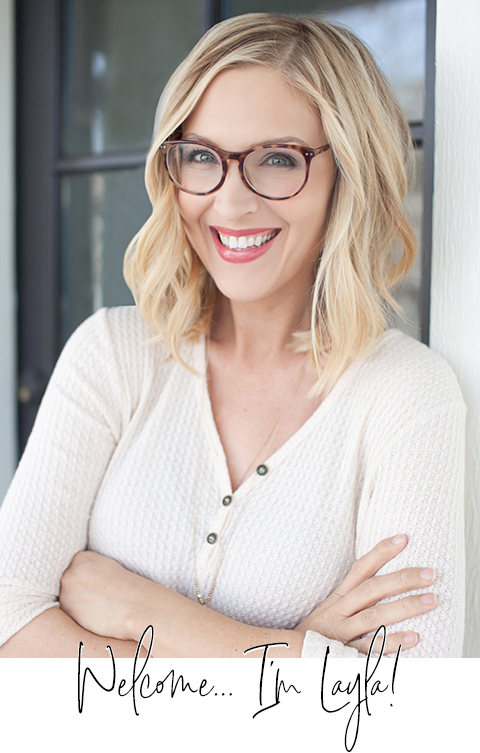 p. s. I really enjoyed listening to your story on Jamie Iveys podcast. Yes!!! I loved this book. I read it twice and then sent it to my best friend in Albuquerque. This makes me so happy. Such a great read. I sat down last night and read your post…then promptly went to Netflix and found the movie and watched it! I thought it was WONDERFUL!!! We love period dramas here, and seeing so many of our Downton Abbey favorites in this movie made it even more special. I wonder how close it followed the book……the only times letters were shared was actually at the beginning, which sounds unlike the book. But i AM going to order the book now as I’m sure i’ll Love it as well! Thanks for a great recommendation! Watched it last night…I LOVED it! Now I want to go there! Thank you for the heads up, it is also one of my favorite all time books. Hoping the movie is as well done and bonus that favorites from Downton Abbey in it as well!! My husband and I watched the movie tonight and all I can say is thank you for informing us. I had not heard of it and now I want to read the book. I have told my sisters about it and I know they will love it too. Thanks Layla. Watched the movie last night after seeing your post. Loved the book, loved the movie. Hi Layla, thank you for the movie/book recommendation!!! My husband and I watched it Saturday night and we were both in agreement: excellent movie! I’m going to have to read the book. Another blogger mentioned the movie as well: Kay Harms of Dressed for My Day blog. You might check it out. Have a great day! Loved it – thanks Layla!